I must confess that I stared at these colours for a while, before finally settling on a stamp set to use. I decided on First Frost, from the Holiday Catalogue. I still wasn't happy with how it was coming together, so I made the colours less intense by stamping off, and used a lot of white....it's probably cheating but, oh well! 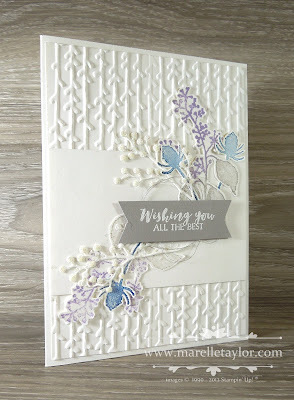 I used the Petal Pair embossing folder to add some texture to the background. 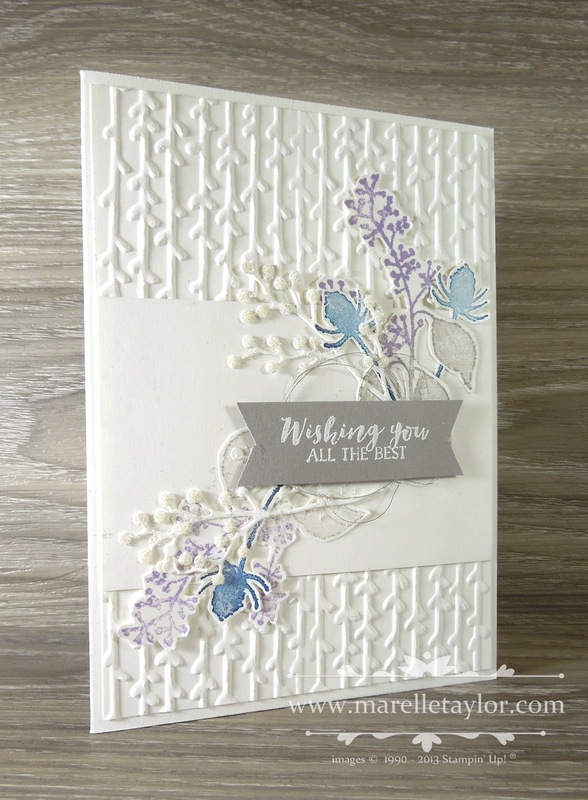 This stamp set is available as a bundle, so no fussy cutting was required here! 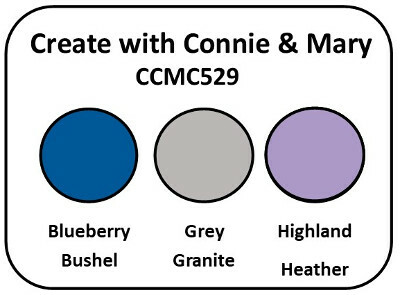 I embossed the sentiment in white on Gray Granite cardstock. To add some sparkle, I popped some silver thread behind the floral elements and also added some Dazzling Diamonds glitter to some of the tips.